William W. Johnstone's vivid, uncompromising novels stand as violent portraits of the rugged American frontiersman and the forces that forged him. 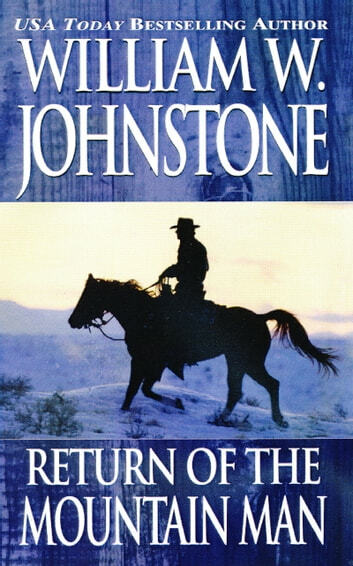 In this powerful novel, Johnstone tells the story of a young Missourian forced by fate and violence into lawlessness--where he sees a chance to right the wrong that shattered his family and his soul. . . Smoke Jensen is a young man raised on loss and bitterness, nurtured by a mountain man named Preacher. Now, Smoke Jensen, with his, a new black horse and an old grudge, slips over the unmarked border into the turbulent Idaho Territory. Ahead is a town called Bury, built on stolen gold, and run by a band of ruthless men who had a hand in the murder of Smoke's brother in the Civil War. Smoke's father died in pursuit of those killers, but urged his son not to waste his life in vengeance. . . 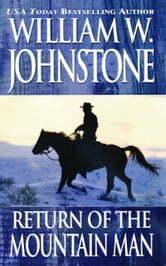 Swift, powerful and poetic, Return Of The Mountain Man is an action-packed tale by William W. Johnstone, an American master--and a great chronicler of our harsh and often unforgiving last frontier. "What do you mean, I can't come in?" Buck said, standing on the front porch of the Pink House.